Create and Start Virtual Machine Instance. Login with a user and create a config for authentication of Keystyone. The username or password in the config are just the one you added in keystone like here. Next Create and run an instance. Configure security settings for the security group you created above to access with SSH and ICMP. Login to the instance with SSH. PING 10.0.0.232 (10.0.0.232) 56(84) bytes of data. The authenticity of host '10.0.0.232 (10.0.0.232)' can't be established. ECDSA key fingerprint is SHA256:p8bYXVZZ3jp53OOcWOpYqDTP3l4qr7VgTSup0w47SA4. Warning: Permanently added '10.0.0.232' (ECDSA) to the list of known hosts. If you'd like to stop an instance, it's also possible to control with openstack command like follows. 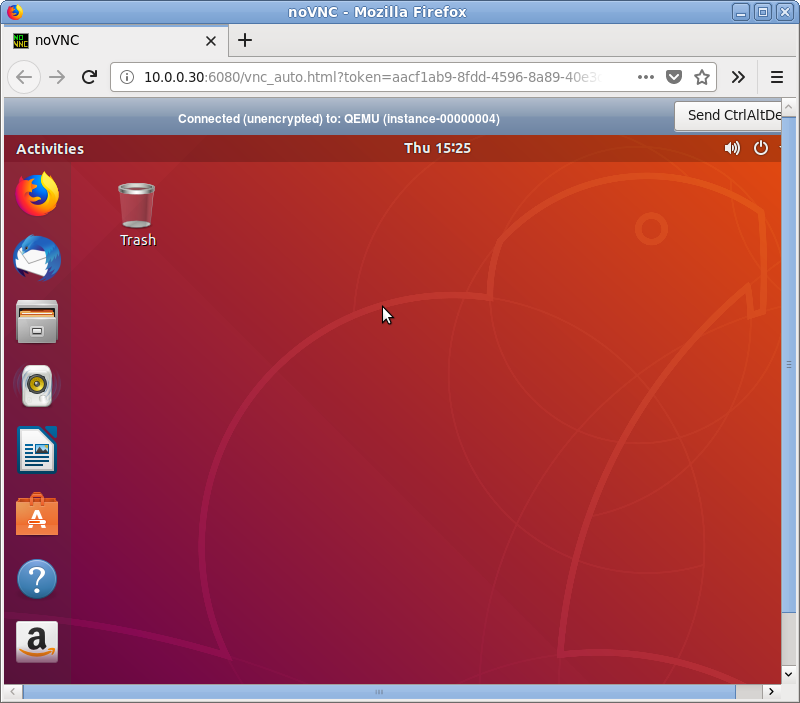 It's possible to access with Web browser to get VNC console. Access to the URL which was displayed by the command above.